We are a leading Manufacturer of vinyl kitchens, stainless steel kitchen, designer modern kitchens and stainless steel kitchen cabinet from New Delhi, India. 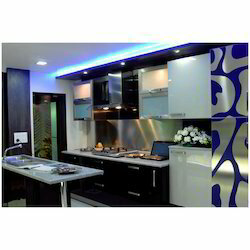 We are immersed in offering our precious clients a best quality range of Stainless Steel Kitchen. 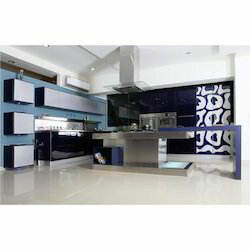 This Stainless Steel Modular Kitchen is broadly demanded in homes, restaurants and hotels. Furthermore, offered product is tested on various parameters in order to deliver flawless range to the end user. Being the most respected organization guided by experienced and knowledgeable professionals, we provide an enormous assortment of Designer Modern Kitchens. Our range of Modular kitchen is designed using modern machinery & latest technology. Our Modular kitchen are extensively treasured by the customers due to their quality features like perfect finish and longer life. 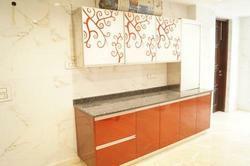 Our dear customers can easily take these wing Modular kitchen at nominal rates. Leveraging on our rich industry experience, we are offering our clients 2 Pan Drawers. Our range of 2 Pan Drawer is designed using modern machinery & latest technology. Our 2 Pan Drawer are extensively treasured by the customers due to their quality features like perfect finish and longer life. Our dear customers can easily take these 2 Pan Drawer at nominal rates.